these methods across other areas. Curriculum- As a school we are following the White Rose Mastery Scheme of work across the school. In all classes Maths lessons will include elements of fluency, reasoning and problem solving. This allows children to practice the taught skill and apply it in a range of situations. Lessons will include access to physical resources to support all students' understanding- these include but are not limited to: place value counters, dienes (Base 10), bead strings and place value charts. Children will access calculations in a range methods, concrete (actual objects and resources) pictorial (picture/visual representations) and abstract (numerical calculations and word problems). Mathletics is becoming part of the next generation in learning as it helps children achieve great results, while enjoying it. Mathletics is a web-based learning program that integrates home and school learning via the internet. 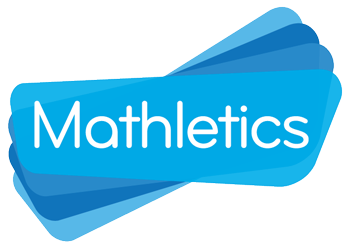 Mathletics courses are aligned to the requirements and outcomes of the Mathematics Primary Curriculum from Foundation Stage to Year 6. There are thousands of students in schools across the United Kingdom and millions around the world that are accessing the site every day. Your child has 24-hour access to Mathletics by using a unique user name and password. We recommend that you spend time looking at the program, so that you can gain a greater understanding of how Mathletics will benefit your child. * Weekly parent emails allow you to monitor your child’s progress. You just need to register using your email and your child’s account. Mathletics General - A general guide on how Pupils log in and use Mathletics. Live Mathletics - A more detailed guide on Mathletics. Level Descriptions - What is covered in the Mathletics Live in each level. Tablets - A guide on the new, fast developing, tablet app. There is also a Parental Area where you can view your child’s scores and track progress. You can sign up online; you will need your child’s login details. Mathletics for Parents A guide for Parental Area. Parental Login Sign up here for Parental Area. Times Tables Rock Stars Games and challenges to practice recall of times tables facts.